We watched a film last night, LUCKY THEM, ON DEMAND, via Time Warner. I believe it is also available out in theaters (It is an IFC Film, so may be in limited run). I am huge fan of of it's star, Toni Collette. She co-stars with the equally brilliant, Thomas Haden Church. Collette's character ("Ellie Klug") is a rock journalist (ala Almost Famous) who assists Church's "Charlie," who is producing a documentary of an iconic, cultish but dead rock legend--I thought when listening to the music and singing of the subject of the documentary as a reference to the brilliant Jeff Buckley. I'm not sure if that was the film's intent. But it was evocative. The movie also stars Oliver Platt and Ryan Eggold (a delicious looking man who plays an up and coming singer/musican, "Lucas Stone." It also includes a brief yet powerful, poignant and uncredited appearance by Johnny Depp (perfectly cast) at the end of the movie. The biggest surprise was that the film was executive produce by Joanne Woodward and the movie is dedicated to her deceased husband, Paul Newman. This is a wonderful film. Great actors. Excellent direction by Megan Griffiths. I have enjoyed a small handful of wide-released and independent films this year to date. A couple were memorable. But this kept me awake on my sofa. 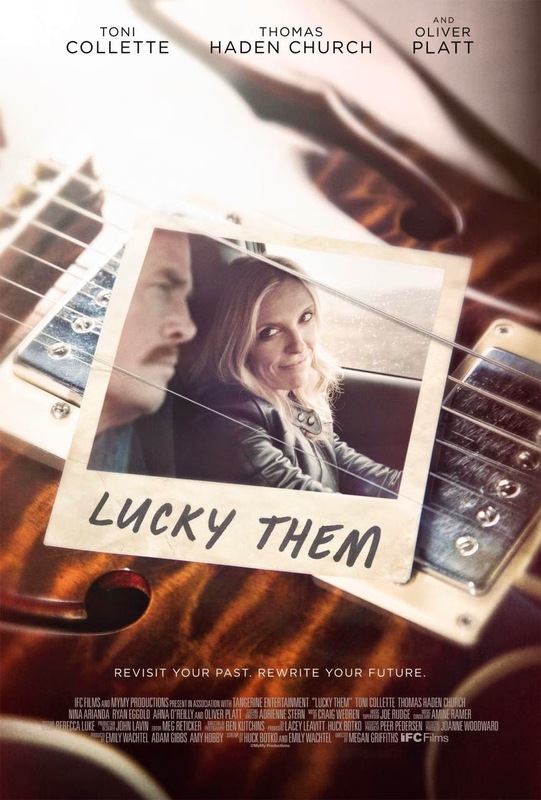 It proves that Toni Collette and Thomas Haden Church are two of the best actors of the generation. It was also a film that I enjoyed from start to finish, which I find is harder and harder to do each month anymore. I highly recommend this film. It was a well-crafted film with some great performances by some of the best actors around.